Ai3 Architects, LLC was selected to complete planning and conceptual design for a new student center and a new science center within the existing Sacred Heart High School. The leaders at Sacred Heart, recognizing the need to provide a “Student Centered” 21st Century facility which would promote student socialization and learning, will be converting their existing 1950s cafeteria into a modern environment which will provide a space for student dining, socialization, and learning, while simultaneously serving as an “event facility” for school and community activities. 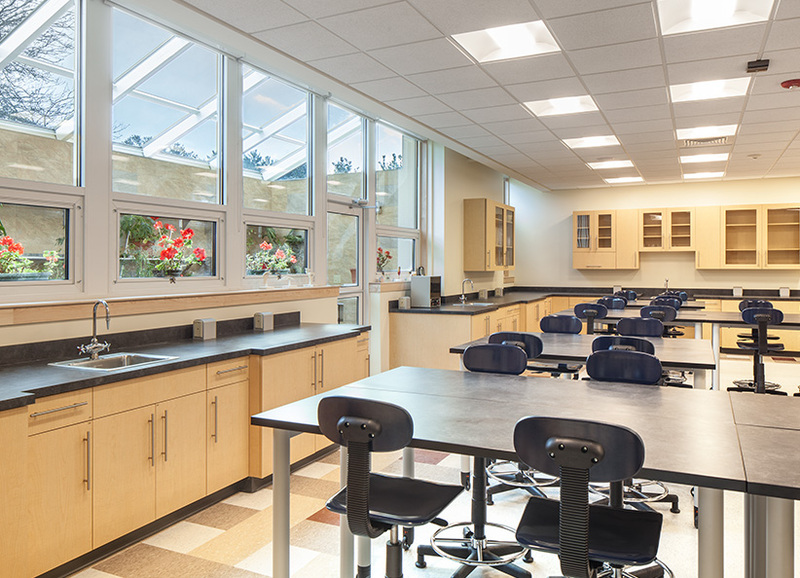 The project also includes short- and long-term design and planning for a new science center, renovating the existing science wing to create 21st Century opportunities for physics, biology, chemistry, and environmental science students.